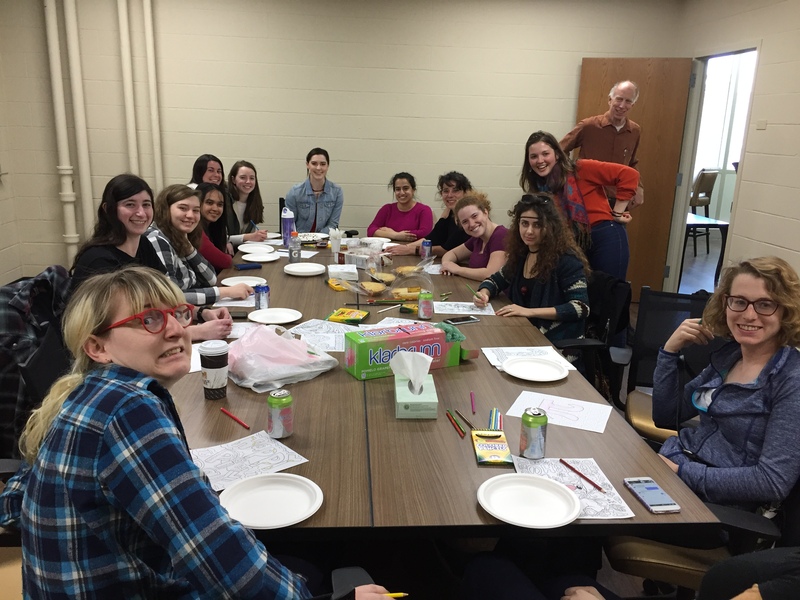 We had a great Pi(e) Day de-stressing with pi-day-themed coloring and a variety of pies! Some of us needed it more than others. 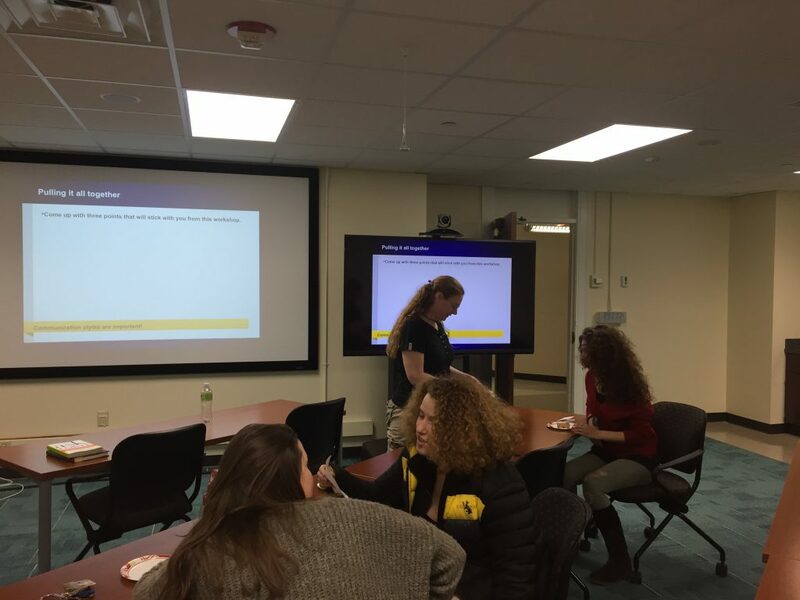 Thanks to Prof. Laura McCullough from UW-Stout and everyone who came to the Communication and Negotiation Skills Seminar for Women! Zoe explains standing waves to visitors under the glow of a mercury lamp. 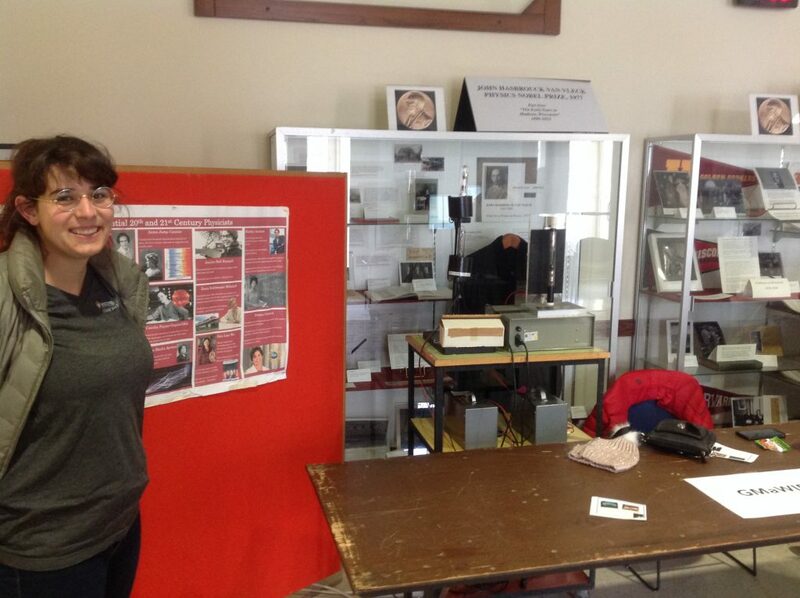 GMaWiP participated in the University of Wisconsin – Madison’s annual physics fair. 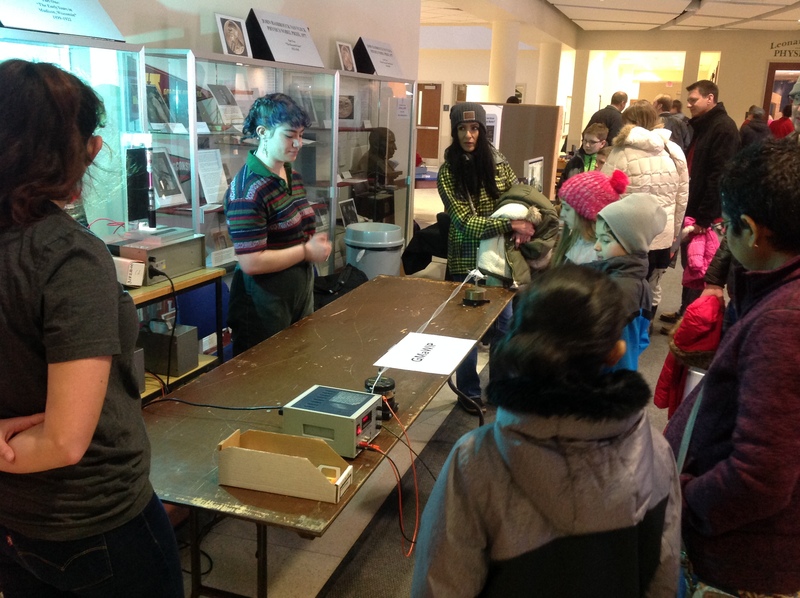 We taught visitors all about waves with a string connected to a speaker (see in slow-motion here) and spectroscopic glasses to look at our neon and mercury lamps. We also included our poster of influential 20th and 21st century physicists which features physicists who represent minority groups within physics. The poster is available for viewing here. Sarah shows off our influential 20th and 21st century physicists poster.